You may be asked to appear for a deposition in connection with your personal injury lawsuit. A deposition is when you are asked a series of questions related to your personal injury claim while you are under oath, before a court reporter that transcribes your testimony, and prior to trial. Your oral testimony can be used by your Manchester personal injury lawyer at the Law Office of Manning & Zimmerman PLLC in support of a pre-trial motion or during trial. The purpose of a deposition is to obtain facts, determine the veracity of your claim, and observe your demeanor to assess how a jury may view you – are you honest and credible, or are you evasive, unprepared, and have a poor memory? We suggest the following to help you to prepare for your deposition. Thoroughly review your answers to the interrogatories to refresh your memory of events. Review all documents your Manchester personal injury lawyer requests for you to review, especially documents you prepared or that were prepared on your behalf. Dress as if you were interviewing for a job. At the deposition, listen to the defense attorney’s questions carefully and in their entirety. Do not anticipate a question. Answer only the question. Do not embellish your answers and offer more information than requested. Speak clearly, politely, succinctly and honestly. Make sure you are responding to a question and not to a statement. If you cannot recall an event or fact accurately, respond that you cannot recall. Think before you answer – do not agree just to be agreeable. If you have further questions or were demanded to appear for a deposition, contact an experienced Manchester personal injury lawyer from the Law Office of Manning & Zimmerman PLLC at (603) 624-7200. If you or a loved one has been injured by another person, the first thing to do is to speak to a skilled Manchester personal injury attorney at the Law Office of Manning & Zimmerman PLLC. One of the first things your attorney will do is try and determine whether or not the person who caused your injury was acting in a negligent manner. In doing so, they will consider how the law looks at such situations, which involves the so-called standard of care. If the other party is deemed to have neglected the standard of care, they may be held liable. An example of the standard of care is when a driver is expected to exercise the same kind of care that any reasonable person would under the circumstances. Therefore, they should pay attention to their surroundings and obey all traffic laws. If someone is prescribed medication that should not be taken while operating a motor vehicle but chooses to get behind the wheel anyway, they are not behaving as a reasonable person would under the circumstances. If they cause a crash, they are likely to be found negligent for this very reason. A Manchester personal injury attorney at the Law Office of Manning & Zimmerman PLLC can explain how the law defines a “reasonable person.” First, it does not refer to an actual human being. Rather, it is an ideal that represents how a typical person would behave under certain circumstances. Because it is an objective test, it does not take into account a defendant’s actual abilities. Therefore, even if someone is known to be habitually careless, they are still held to the same standard of care as a reasonable person. When a personal injury case goes to trial, the jury must decide whether the defendant was acting as a reasonable person. To do this, they will consider the defendant’s behavior and actions in light of what they know and what they have perceived. Children aren’t typically expected to act in the same way that a reasonable adult would. They are usually held to a modified standard that compares their behavior and actions to those of others their age who have the same experiences and intelligence. If a child is engaging in an adult activity, however, some courts may hold them to the adult standard of care. A Manchester personal injury attorney at the Law Office of Manning & Zimmerman PLLC can more clearly explain this to you. If you or a loved one has been injured due to someone else’s negligence, contact a Manchester personal injury attorney at the Law Office of Manning & Zimmerman PLLC at (603) 624-7200. When you work with a Manchester personal injury attorney at the Law Office of Manning & Zimmerman PLLC, we will explain the common tactics used by insurance adjusters. They are trained to try to minimize the losses for the insurance companies they work for. They may thus try to trick you into settling early in the claims process for far less than the amount to which you are entitled. The Manchester car accident lawyers at Manning & Zimmerman Law are experienced negotiating with insurance companies and are familiar with the types of tactics adjusters typically use. While it is not always a ploy, people should be wary when they are asked to give a statement to an insurance adjuster. They must investigate the claims that are presented to them, and doing so often involves their interviewing all of the witnesses to the crash. In some cases, however, an adjuster may try to get you to commit to something they can later use to deny your claim, or to offer you a very low amount to settle your case. If you are asked to give a statement, it is important for you to first speak with a Manchester personal injury attorney at the Law Office of Manning & Zimmerman PLLC so you can get advice on how to handle the request. If your adjuster wants you to give a signed statement, they will meet with you and ask a series of questions about what happened in your crash, any losses you have suffered, and your injuries. They will answer the questions in first-person based upon the responses you give. They will then have you sign at the bottom of each page as the questions are completed. Signed statements are often several pages long. You are entitled to a copy of your statement, but you need to request it. Most of the time, the adjuster will be completing the statement on triplicate carbon paper. Ask for a copy and they should be able to hand you one at the end of the interview. Trying to get a copy of your statement after the fact may be more difficult, so it is important for you to remember to ask for your copy immediately. If you notice that corrections need to be made as you review each page, make certain to point them out. The adjuster should then make the correction and have you initial next to the change. Do not simply sign the bottom of each page without first reviewing what the adjuster wrote for your answers. At the end of the statement, you will probably be asked to provide your signature. Many insurance companies are moving away from signed statements to recorded ones instead. Recorded statements may be done in person or over the telephone. In both cases, New Hampshire law requires that they get your permission to record what you have to say. In order to save on travel expenses for the adjuster, more companies are moving to recorded statements over the telephone. Besides travel costs, the company may also save additional money because the adjuster may take multiple recorded statements. After the adjuster has your recorded statement, it may be sent to be transcribed. If you have given such a statement before hiring a Manchester personal injury attorney at Manning & Zimmerman Law, we will request a copy of both the original recording as well as any typed responses you gave, or transcripts of the recording that has been prepared. This will allow our office to do a comparison to make certain that what is written accurately reflects your statement. For a free consultation, contact a Manchester personal injury attorney at the Law Office of Manning & Zimmerman PLLC. We may be reached at (603) 239-2101 or by email at info@MZLawNH.com. We may also be contacted by using the “contact us” or chat feature on our website. This list will cover some of the most frequently asked questions that NH personal injury attorneys receive. By covering the basics, you can increase your understanding of the laws surrounding personal injuries and maximize your chances of a successful lawsuit. Are medical bills covered in a bodily injury claim? Bodily injury claims are also commonly known as personal injury claims. These claims cover a wide variety of economic damages including, but not limited to, medical bills. You may also receive compensation for lost wages, transportation costs such as repair bills and rental car expenses, and other general damages. General damages may include pain and suffering, and emotional distress. Even if you choose to settle your claim, you should include all relevant damages in your settlement because you may not be able to pursue them later in court. Accordingly, if you receive a favorable outcome in your case (which can never be guaranteed) your medical bills should be covered. However, this could take a long time and, in the meantime, your bills may be sent to collections or other adverse actions taken. An attorney can assist you in understanding the process for using you own health insurance or other insurance benefits which may be available to you so you are able to get the treatment you need while you wait for your case to resolve through settlement or a jury verdict. 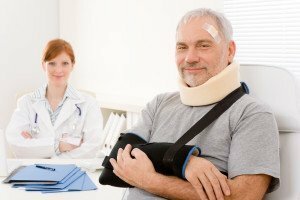 Can health insurers be included in a personal injury settlement? If your personal injury claim is successful, your insurance company may demand to be repaid. Most insurers use language that allows them to be repaid for medical bills if a claim is made. This practice varies significantly from one state to another, and from policy to policy, but it is quite common. If Medicare or Medicaid has paid any medical expenses on your behalf these entities have an automatic lien on your case and it is likely that the insurance company will not even pay any agreed upon settlement until it is known that these liens will be paid. Can auto accident settlement annuities be broken? Some cases settle with an annuity – guaranteed payments at set times going forward (this might be monthly, yearly, or in lump sums). In most cases, it is not possible to break an annuity in any settlement. Annuities are designed so that the insurance company can pay out the settlement over a longer period of time rather than one large payment. If you were underage at the time of the settlement, your parents may have elected an annuity as the Courts in New Hampshire will not allow parents to simply hold funds of significant value on their child’s behalf (either an annuity is established or a minor’s estate opened with the probate court which then oversees all subsequent transactions). There are companies that will purchase annuities, but this is generally not recommended as you would usually be taking a substantial loss. Can parents access their child’s settlement money? In most cases, parents do not have access to a child’s settlement money. As stated above, when a minor’s case is settled for any substantial sum of money the funds are either put into an annuity that will be paid out after the child turns 18 (at the intervals specified in the annuity) or overseen by the Probate Court which usually requires that the funds be held in a bank account until the child turns 18. Sometimes parents are allowed to withdraw money from such accounts to pay for certain expenses, but these instances are limited and must be approved by the court. 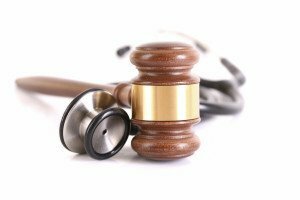 Do lawyers receive a percentage fee before medical expenses are paid? Most agreements base the lawyer’s percentage fee on the gross settlement before bills are paid. How is a personal injury award collected? If you are filing a claim against someone with insurance, the insurance company will pay the negotiated settlement. If you have a trial involving someone who has insurance, the insurance company will have hired an attorney and that attorney will arrange with the insurance company for any required payment to be made. If the person is uninsured or the jury verdict is greater than what the insurance company is required to cover, you may have to go to the court and seek enforcement. Your personal injury attorney will help you understand better the process and the details involved when someone is uninsured or underinsured. Remember, even if you win at a jury trial, there could still be an appeal of your case and you are not entitled to payment until the appeal is completed. Is there a minimum amount for personal injury settlements? No, there is no minimum or maximum amount for which you can settle in a personal injury claim. The amount depends on the liability of the defendant (was the other person negligent and di you have any fault), severity of the injury, the extent of economic damages and the time your injury is expected to persist. 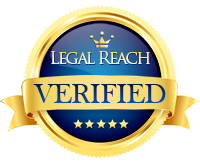 A lawyer may be able to help you determine an appropriate value for your case. What is an appropriate contingency fee? Contingency fees are usually negotiated with the particular attorney you are working with. In New Hampshire, the average fee is 33.33% (one-third) for issues litigated through either trial or arbitration. Some attorneys have fee agreements that are for a higher percentage once a lawsuit is filed. If you have been injured due to the fault of another person or entity, you may be eligible to file a personal injury lawsuit or obtain a personal injury settlement. This process can be difficult, and it may be in your best interest to obtain the representation of a legal professional. Contact the Law Office of Manning & Zimmerman PLLC today at (603) 624-7200 for more information on proceeding with your claim. 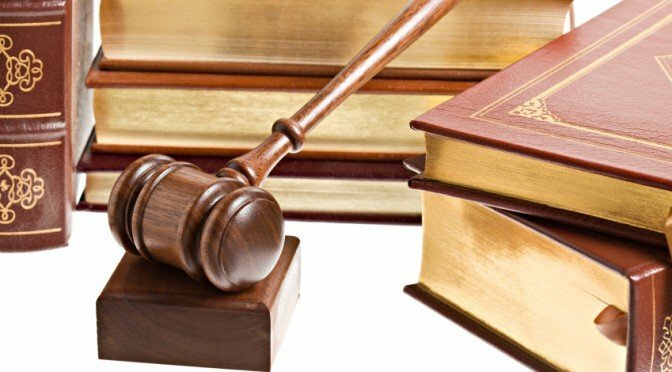 When a Manchester motorcycle injury lawyer at the Law Office of Manning & Zimmerman works with you on your personal injury case, you may have questions about what portion of any settlement you receive will go to you, especially after legal fees, medical bills, and other expenses are calculated. As your Manchester motorcycle injury lawyer will explain, most people do receive a fair amount after their expenses are calculated to compensate them for the losses they have incurred. There are several factors that can substantially impact your claim amount. One of these is your medical bills. In many cases, insurance companies will claim a right to be reimbursed for the medical expenses they paid on your behalf. If this is true in your case, then your ultimate settlement amount will be reduced by the amount owed to the medical insurance company. Under New Hampshire law, you can seek and recover fair compensation for such things as your medical expenses and ongoing treatment needs. Another factor that can play a part is whether or not you actually lost income due to your accident. You can recover amounts for any income you lost due to your injuries from a crash. The law also provides that you can seek recovery for a reasonable monetary amount for the pain and suffering you experienced as a result of the accident. Your Manchester motorcycle injury lawyer at the Law Office of Manning & Zimmerman will work to ensure that you receive a fair amount to compensate you in your particular matter. To speak with a Manchester motorcycle injury lawyer at the Law Office of Manning & Zimmerman PLLC, call (603) 624-7200. If you have been injured as a result of an accident involving you and your motorcycle, our Manchester motorcycle injury lawyer may be able to help you obtain damages by holding the other driver responsible for what transpired. In order to help work on your case, a Manchester personal injury lawyer at the Law Office of Manning & Zimmerman PLLC must know about the defense firms for the insurance carriers of all drivers involved. Defense firms who represent the more reasonable carriers are often easier to deal with. On the other hand, conservative carriers are more likely to want to play hardball to avoid paying anything whenever possible. Once your personal injury lawyer is sure the adjuster leans more toward being reasonable, he or she will establish a relationship of trust that will help make negotiations more open. However, it is important to remember that every adjuster does have a supervisor he or she has to answer to. Your attorney also needs to have patience and keep an open mind throughout this process. Getting impatient or being close-minded will not help the relationship with the adjuster. For more information on how a Manchester personal injury lawyer can help you, contact the Law Office of Manning & Zimmerman PLLC at (603) 624-7200. 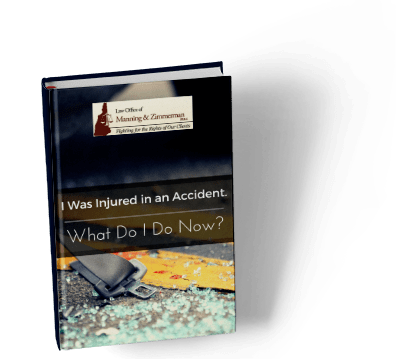 If you suffered injuries in a motor vehicle collision, you should immediately seek medical attention and then contact a personal injury lawyer Manchester. The compensation you may be entitled to is dependent on the collision and your injuries. With millions of people commuting every day, vehicle collisions occur frequently. The following information from a personal injury lawyer Manchester discusses the most common type of injuries sustained in vehicle collisions – injuries to the body’s soft tissues. If you have any questions after reading the material, contact a personal injury lawyer Manchester at the Law Office of Manning & Zimmerman at (603) 624-7200 for a free initial consultation. Soft tissue injuries often leave injured victims in a lot of pain and discomfort. Symptoms from soft tissue injuries can include swelling, stiffness, bruising, and soreness in the injured area. The reason these injuries are so common in automobile collisions is due to the impact of the collision. This causes those in the vehicle to be jolted violently, depending on the severity of the impact. Those with stiffness in the neck will, in most cases, immediately notice some of these symptoms emerging when suffering from whiplash. However, it may take a few days for the symptoms to fully emerge after a collision. While whiplash symptoms may not seem severe, it is not an injury to take lightly as it can lead to chronic neck and back pain. Treatment for whiplash can include wearing a neck brace, going to physical therapy, and taking muscle relaxant medication. Seeking medical attention following a collision is very important, whether injuries are apparent or not. As discussed above, soft tissue injuries are not always apparent immediately, nor do they show up on x-rays. A medical professional will be able to help to diagnose any injuries. Injury victims will need to establish medical treatment following a crash and have their injuries documented by medical professionals. This will help to prove the damages that were sustained in the collision, as well as proof of injuries. Many personal injury victims are unsure of how to proceed in a litigation case – that is why you need an experienced professional by your side, a personal injury lawyer Manchester who has the skill, experience, and integrity to help with your case. Big companies have lawyers looking out for their interests and you should too. If you feel you have been treated unfairly by an insurance company, the NH personal injury attorneys at the Law Office of Manning & Zimmerman, PLLC can help. We are only paid for our services when we successfully recover damages from the responsible party. For a free consultation with a personal injury lawyer Manchester, call (603) 624-7200, email us at info@manningzimmermanlaw.com, or contact us by using the “contact us” form or chat feature on our website.